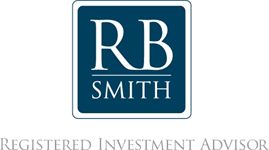 Our process is comprehensive and holistic | RB Smith Co., Inc.
How can I build and sustain the life I envision? Our process focuses not on narrowly defined financial issues, but strive to help you live a better and more productive life. No matter what your questions or challenges, through our life planning process, we work with you to develop the financial strategies that will help you pursue your unique aspirations. We believe that achieving your financial objectives involves far more than choosing the appropriate investments. It’s about developing strategies to help you pursue both short-term and longer-term interests, goals and dreams. That’s why we believe the first step in a strong client-advisor relationship is identifying your broad life goals. Our process is comprehensive, seeking to balance your needs for risk management, income and investment returns, tax management, retirement planning and estate planning. We draw on deep experience and knowledge to craft holistic solutions to your life planning needs. Our team brings more than 90 years experience in the financial services industry. We focus on establishing long-term relationships though outstanding client service, comprehensive planning strategies, and an ongoing drive to better ourselves and our clients through education. Life planning is a process, not an event, so we review and revise your financial plan at least annually, in light of your changing circumstances, objectives and long-term goals. Protecting your home, health, family and assets is a critical part of life planning. We help you manage risk by determining the appropriate amount of insurance coverage in a variety of areas, including disability income, long-term care and life insurance. Our approach balances your need for immediate income with longer-term goals for asset accumulation. We begin by analyzing your household budget and cash flows, tax situation and investment preferences before developing a plan. We work closely with your tax advisors to manage tax liabilities at all stages of your life, through a variety of income, gift and estate tax planning strategies. We monitor your evolving tax scenario, and adjust their portfolios accordingly, to manage the ongoing tax consequences of your investments wherever feasible. Retirement planning is a crucial element of financial planning, consisting of planning both before and during your retirement, so you can strive to achieve and maintain financial independence in the manner you desire. In estate planning, we work with your estate attorney to ensure that mechanisms to facilitate the efficient transfer of wealth are established and maintained. We work to manage taxes and address benefits to your intended recipients, including both individual and charitable beneficiaries, whether via lifetime or testamentary bequests.